"Beautiful sunrise tour of Sarasota"
The race starts on Davis Island and is rather neat! It begins with a brick road that was in pretty good condition. The route then continues around the island past some beautiful homes and in the view of some of the docked cruise ships in port. The race then heads back toward the bay where the rest of course is run. It is a beautiful view and as you go along, the sun rises to your left. It being so close to the water meant that when the sun came up, there was no shade to provide relief from the heat. I admit that I got a little bored of this since it was out-and-back for miles 5 through Finish. This race, in its second year, is a must-do for midwesterners! 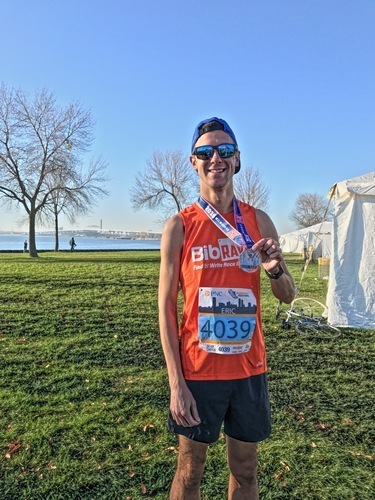 I'm from the Milwaukee suburbs and live in Chicago now, so it was fun to run a race in my "hometown"! Expo: What better Milwaukee venue for the expo than the Harley Davidson museum. Parking here was a slight challenge, as there wasn't any direction in the Runner Guide sent out the week before, and there wasn't any signage or people directing. I came right at the expo opening, and found parking in a small lot across the street, which was fine, but kept looking around for more parking, wondering where the masses were going to park as the surge of runners would be coming shortly. Overall, I had a really great experience, and would seriously recommend this race to anyone. It it's second year, they've done an awesome job of providing a top-notch experience and soliciting feedback on how they can continue to improve. 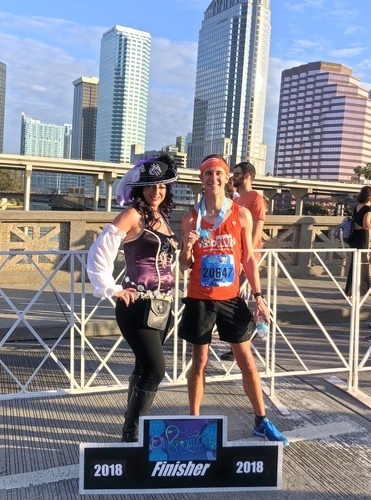 My only regret was not signing up for the Full or the Half so that I could've gotten an extra dose of the beautiful city! I can't wait to see how big this race gets in the next ~5 years!